ed anew in the concrete results shown in each annual report. retirement of Usthi founder Kurt Bürki. hope this report provides you with interesting insights. tremely limited access to medical care. also have access to education. them on the Indian job market. nomic reasons and on social grounds. 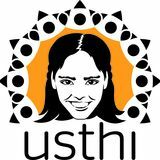 been the main focus of Usthiâ&#x20AC;&#x2DC;s work. people with access to education. attended an Usthi school in 2018. VOCATIONAL TRAINING: NEW MANUAL SKILLS COURSES Since the end of June 2018, adolescents and young adults in Hyderabad have also been able to attend vocational skills training for manual trades. The programme has got off to a good start and has already, pleasingly, its first female participants. The vocational skills training courses have proven very successful over the past few years and most graduates find a good job immediately after completing their course. Since the demand for courses is constantly high and there is an increasing demand for technically skilled workers, Usthi has decided, together with its local partner, to include such manual courses in its programme. Infrastructure expansion for the new courses went well and courses started as planned on 25 June 2018. The new infrastructure offers places for 150 participants. In addition to adolescents who attend the already existing courses, up to 150 more young people can now find a secure job through Usthi every year and lead a self-sufficient life. It is particularly gratifying to see that not only young males attend the manual courses, but that a few young women have also signed up. This shows the female participantsâ&#x20AC;&#x2DC; courage and gives hope that not only poverty but also classical role models can be overcome through our courses. 47 young people have already completed technical vocational training in 2018 and numbers are expected to continue to grow in 2019. During the summer break, the infrastructure will also be used for crash courses. These short courses could particularly motivate young women to develop basic technical knowledge to be able to carry out small household repairs independently and thus reduce expenditure. HEALTH In the Tribal Belt within the Indian state of Odisha, Usthi has built up a comprehensive health care system over past decades. The majority of people here live close to nature and far from urban infrastructure. Although the indigenous peoples of Odisha are recognised as Scheduled Tribes (and should therefore benefit from support measures), the indigenous population is still exposed to discrimination and marginalisation. Projects in the Somagiri region give these people access to good medical services. TRIBAL HEALTH CENTRE With the Tribal Health Centre in Somagiri, Usthi gives people from 133 villages access to primary medical care. The hospital offers out-patient and in-patient treatment. If required, the Usthi field ambulance can also arrange transport to a larger hospital in the city. The Usthi maternity ward is an important part of the hospital and helps to counteract the high infant and maternal mortality rates in the region. Since 2016, the Tribal Health Centre has been State-approved and part of its costs are covered by insurance contributions. In 2018, 36% of the operating costs were covered locally. HEALTH NETWORK The 44 health care workers, all from the region and trained by Usthi in the Tribal Health Centre, are of great importance in reaching people in the region and providing treatment. Their work on the ground creates trust among the indigenous peoples, who often have great distrust of medical treatment and would otherwise shy away from going to the hospital. In addition, the health network provides these women with a regular income and strengthens their status in the villages. HEALTH AND EDUCATION PROGRAMME FOR YOUNG CHILDREN In eight day-centres in the tribal region, small children are encouraged in their motor and cognitive abilities. In each of these centres, between 30 and 35 pre-school children are given a safe place to play and learn. Women from the region look after the children, thus lightening the load on the families during their hard work in the fields. Since schooling is not considered a high priority in the region, this initial contact with education also helps to reduce scepticism and facilitates their subsequent enrolment in school. and a sad reality for people worldwide. a victim of human trafficking is high. and are forced to do humiliating work. to become active here was self-evident. a particularly large number of dangers. of places increased from 30 to 40.
of the most devastating circumstances. vated in case of suspicion. would have been considered illegal under new regulations. sustainable continuation of initiated projects. ees and their environment is monitored by the Usthi Switzerland Team at regular intervals and once a year directly on site. to reach the desired target groups efficiently. basis and receive no compensation or attendance fees. living in for our children. rapidly changing world. 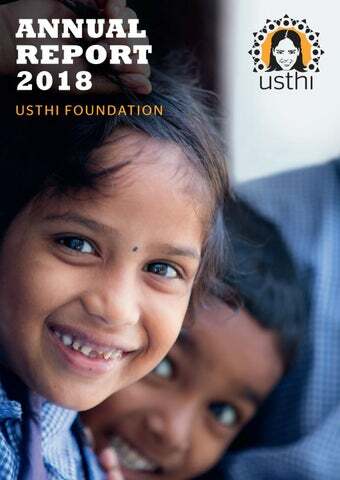 Be proud to be a part of Usthi because you are investing in a better future for our children. base caused additional work at the turn of the year 2018/2019. Existing programmes in India will be further expanded in 2019.
most recently, in emergency relief after the 2015 earthquake. marginalised Chepang people better prospects for the future. support. It is wonderful to have you at our side. THANK YOU! events possible in the first place. flights to the projects in India and Nepal. work would not be possible. support of our health projects in Somagiri. our health projects in Somagiri.